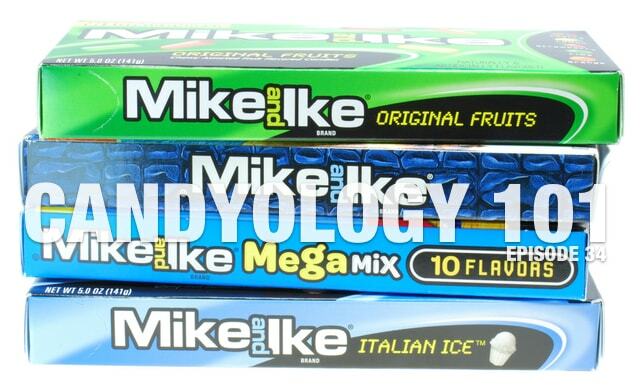 On today's episode of Candyology 101 we take a look at Mike and Ikes. This jelly-bean-like confection comes is a ton of different flavor varieties and it's really affordable, but it's never gotten the same recognition as other fruity candies like Skittles or Starburst. We take a brief look at this tubular candy to discuss how it's made, how long it's been around, and we share our favorite mixes and individual flavors. Plus! Cybele tries to quiz me to see if I can pick out the legit Mike and Ike mixes in a sea of fakes. (How did I do? Tune in to find out!) Then, as always, we finish things off with our treat or trick section to let you know what sweets are headed our way soon. Be sure to share your favorite Mike & Ike mix below!